Meanwhile, forces loyal to or allied with Syrian Arab Republic are making gains toward the investment and siege of insurgent-held areas about Aleppo. Some observers are pointing to the withdrawal of JAN positions (due to American airstrikes) as a factor in this developing military situation. right now its looking really bad. as a matter of fact its almost over. its just like the holy defense - Irans defeat in khorramshahr, susangerd, hoveyzeh, bostan, mehran, qasr shirin, sarpol e zahab, dehloran and so many other places. but iran gathered strength and so succeeded get those towns and cities back. 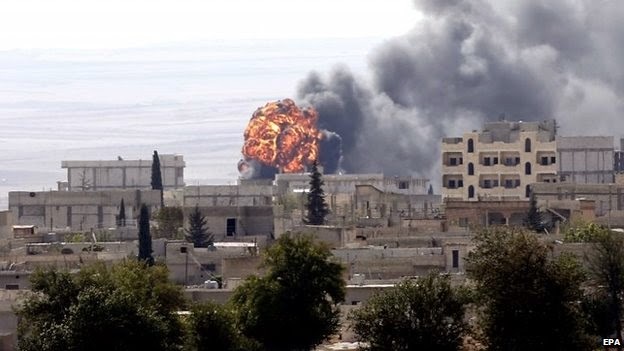 one day kurds can take back kobane and nearby villages.